Home / Posts Tagged "Company’s Data at Risk"
The banking and financial services industry is at high risk for data leakage with over 40 per cent of leaked personal data globally, according to the Infowatch Global Data Leakage Report 2014. Infowatch Group is the global leader in data leakage protection solutions. Its Chief Executive Officer, Natalya Kaspersky, said the industry was involved in the leakage of 313 million personal data attributed to 135 cases reported last year. “Although healthcare segment recorded a higher number of cases, the personal data compromised were much lower in volume compared to the banking and finance sector at 58 million,” she said during her presentation via webinar today. She said the type of data breached was led by information breach, followed by data fraud and exceeding access rights. The way data was being leaked was also changing, she said, from the traditional paper or hard copy to a more sophisticated way through browsers and cloud. Kaspersky said data leakage might soon overtake other threats when it comes to financial and reputation damage to an organisation. “It is the consumers which are being put at risk when organisations did not put enough precautions to prevent leaks, as the report revealed that 92 per cent of information leaked are personal data,” she added. Meanwhile, Infowatch Asia Pacific/Malaysia Regional Head, Renga Nathan, said the awareness on the importance of data leakage protection in Malaysia was still very low probably due to the lack of enforcement in terms of Personal Data Protection Act. “In Malaysia, the penetration of such solutions is only about ten per cent, while in the banking sector only 30 per cent have that kind of protection,” he said. However, there has been an increasing awareness whereby more organisations are now putting in more budget allocations to extend their data protection to leakage solutions. Is It Time to Review Your Data Monitoring Policy? The relationship between workers, their devices and company material can be hazardous if left unmonitored. 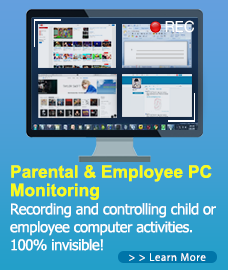 Did your employer review their BYOD or employee monitoring policies with you during your onboarding process? Or, has your company’s leadership team made any changes to their policy as cellphones and other mobile devices have been allowed access to company email and files? As more mobile devices enter the workplace, employers have started extending their data monitoring policies to worker’s personal technology. Although employee monitoring is not a new concept and is often expected in the office, there is a strong aversion to cellphone monitoring, especially among millennials. According to a nationwide study by TechnologyAdvice Research, more than a third of office workers don’t know their employers’ data monitoring policies. “The responses suggest a need for greater transparency or education efforts among company management about monitoring policies in order to keep employees engaged and maintain trust in company policies and values,” said TechnologyAdvice Managing Editor Cameron Graham, the study’s author. About 20 percent of respondents were unaware of whether their activity was monitored, while 15.6 percent were aware that their computer use was monitored somehow, but were unsure of the specifics. There is a major split in how employees feel about computer monitoring as opposed to mobile device monitoring in the workplace. “Employees seem fairly comfortable in general with employers tracking their computer use at work, considering only 19 percent of respondents said they often or sometimes worry about their employer viewing their Internet history,” said Graham. But 64.3 percent of office employees stated they would be at least somewhat uncomfortable with their cellphone being monitored during work hours. This is especially true for millennial respondents, who reported being more uncomfortable with cellphone monitoring, but were also found to be less likely to know how they were being monitored. Millennials are poised to make up 44 percent of the work population by 2025, yet are the least likely to know the details of employee monitoring policies, despite expressing more concern about mobile device privacy than other age group. As this younger demographic moves into the workforce, employers will likely face growing challenges over Bring Your Own Device (BYOD) policies and mobile device monitoring. “Involving all relevant parties in policy creation could help ease concerns over monitoring, and strike a balance in maintaining control over company information while discouraging insecure device use,” said Graham. IT departments looking to save time and money shouldn’t be doing so at the expense of their data protection. A study from the University of Texas revealed that 43% of companies suffering from catastrophic data loss close and never reopen, and 51% close within two years. Backup solutions provider Unitrends warns IT professionals about five common data protection shortcuts that could put their company’s data — and even their jobs — at risk. Hardware failures are the leading cause of data loss. Though most IT professionals don’t completely disregard hardware that is failing to back up company data and systems, many do often ignore the fact that certain backup mediums have high failure rates, such as tape or a SAN or NAS storage device that is used as both the source and target of a backup. To reduce the risk of hardware failures, move data from primary storage to a separate, secondary storage device. Disk-to-disk backup is the best approach, as it’s more reliable than tape and still ensures a physically separate secondary storage set that can survive hardware and system failures. The reality is that employees aren’t always great at following company policies, and even when they do, mistakes still happen. The best defenses against human error are automation and retention. Automation enables automatic execution and strict enforcement of created policies and procedures, and retention enables data recovery, regardless of whether the data loss is noticed right away or weeks later. By now, most companies have at least basic security solutions, such as firewalls and anti-virus software, in place to defend against malware. But cybercriminals are becoming very adept at breaking through traditional cyberdefenses. IT professionals should evaluate their infrastructure, identify areas of vulnerability and implement advanced security solutions to overcome them. These solutions include web monitoring software for safe Internet usage, end-point protection for bring-your-own-device management and a sandbox to fight targeted attacks. From a backup perspective, the best approach is to operate backup and disaster-recovery solutions on a non-Windows operating system. Windows has long been one of cybercriminals’ favorite targets, and running protection software on an operating system that is relentlessly under attack just doesn’t make sense. Despite data-loss horror stories, many companies still don’t have disaster-recovery plans in place to protect information from natural and man-made disasters. And many of the companies that do have set plans have just one general set of guidelines that apply to all disaster situations. A strong plan focuses on people, infrastructure and processes, and clearly outlines how each is affected in different disaster scenarios. Failure to test disaster-recovery plans, or testing them on an infrequent basis, can greatly increase the risk of data loss in the event of a disaster. Since IT infrastructure evolves daily, thorough testing must be done on a consistent schedule that allows it to be adopted as yet another standard business practice.